FeastHome – Who does not want a kitchen area that looks neat all the time? You surely want to do your cooking activity in a neat kitchen area. 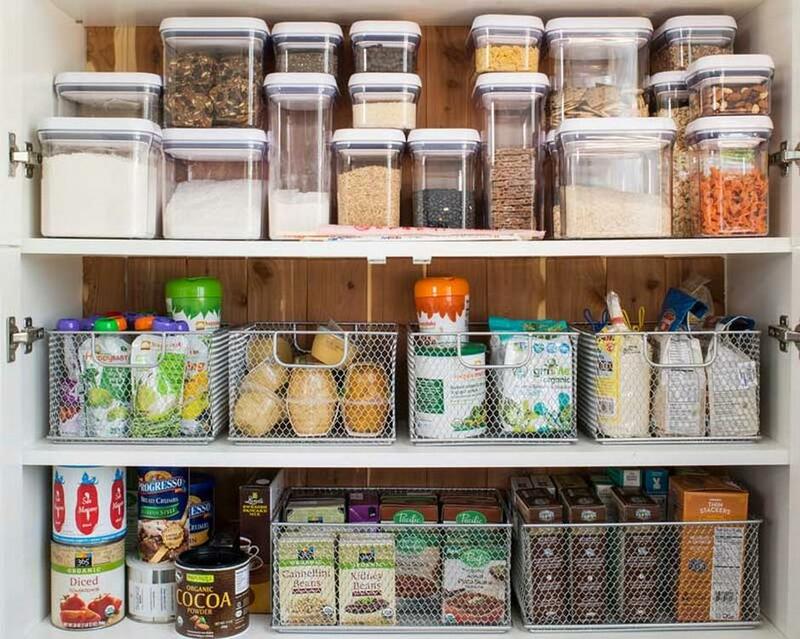 This is why if you have a lot of stuff in your kitchens such as spices, snacks, vegetables, fruits, and many more, you need containers to store them. 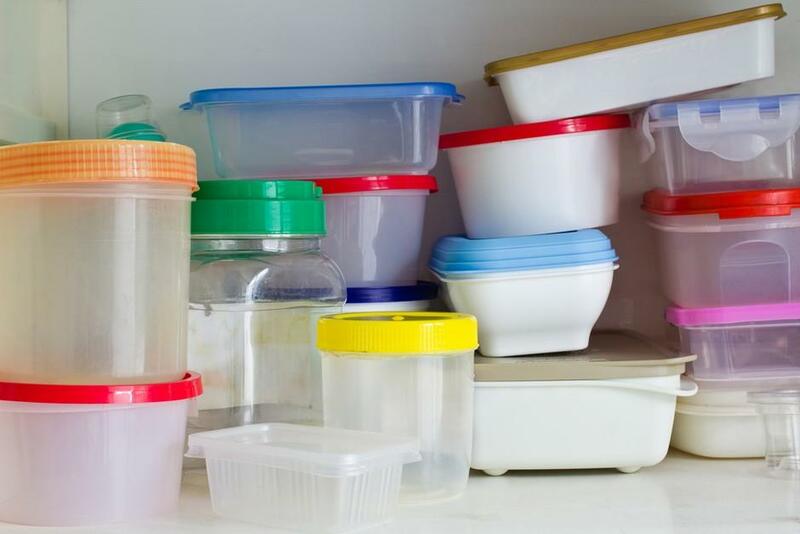 By storing your kitchen stuff in containers, your kitchen will be neater. Moreover, it will be easy for you to find any item that you need. 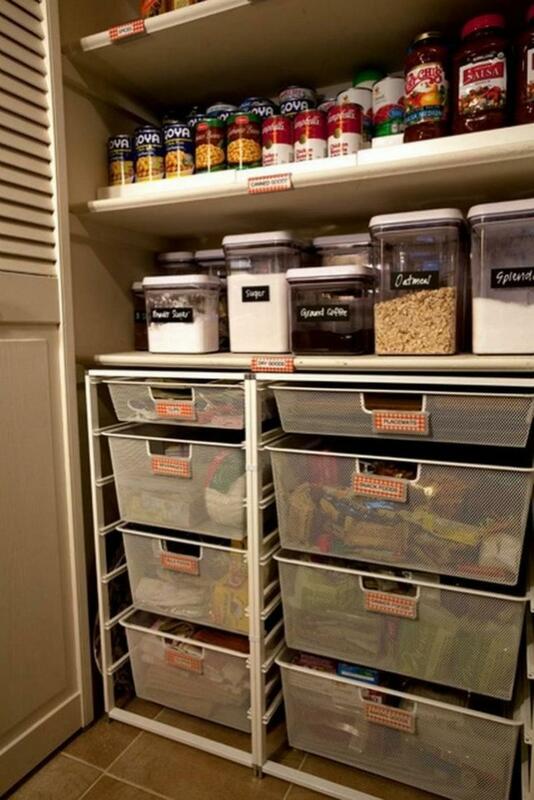 Follow these ideas of the containers to organize to have a neat kitchen! There are a bunch of types of containers nowadays so that you can choose ones which are suitable for your needs. As you can see in the pictures above, the householders use several types of containers, such as plastic jars, glass jars, and wooden woven containers. The plastic jars are used to store snacks, the glass jars are used to store sweets and candies, and the wooden woven containers are used to store packaged snacks. Placing the bottles on the bottom is a great idea since bottles tend to break if fall. Plastic containers are suitable for you who want a safer container to store your stuff. 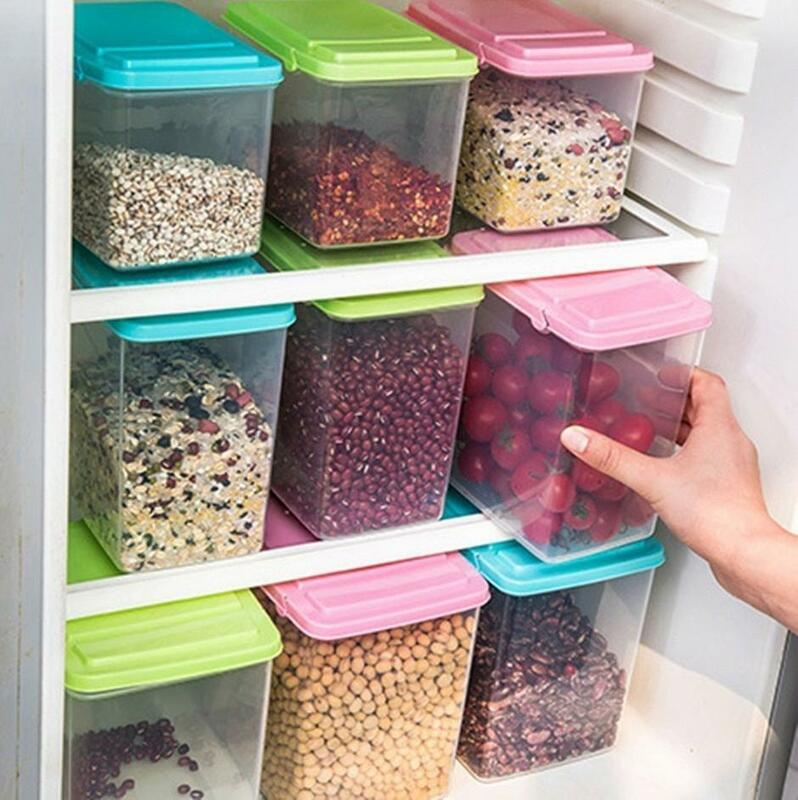 You can use the plastic containers with colorful lids like the picture above so that your kitchen cabinets or fridge look less boring. Choosing the transparent plastic containers will make it easier for you to find the items you need without having to open the lid. The tips to neatly organize plastic containers in the fridge is use the ones with the same sizes just as you can see in the picture. The picture above is the kinds of plastic jars. There are round shape plastic jars, square shape plastic jars, and rectangle shape plastic jars. There are also the transparent ones and the closed ones. As it is said before, the transparent plastic jar will make it easier for you to find the stuff that you need. But you can also use the closed ones and tag a label so that you can know what inside the jars. You are also able to use the closed plastic jars so store your favorite items so that other people do not know where you save them. This area looks so neat because of a neat containers arrangement. The canned foods are put in the same place as the bottled sauces. And the kitchen ingredients are stored in the transparent plastic jars. The householders also stick a label in each plastic jar so that they are not mistaken between sugar, salt, and flour. The meshed containers which are usually used to place the dirty clothes are also used to store other kitchen stuff. It is a unique idea if you have a lot of things in your kitchen. 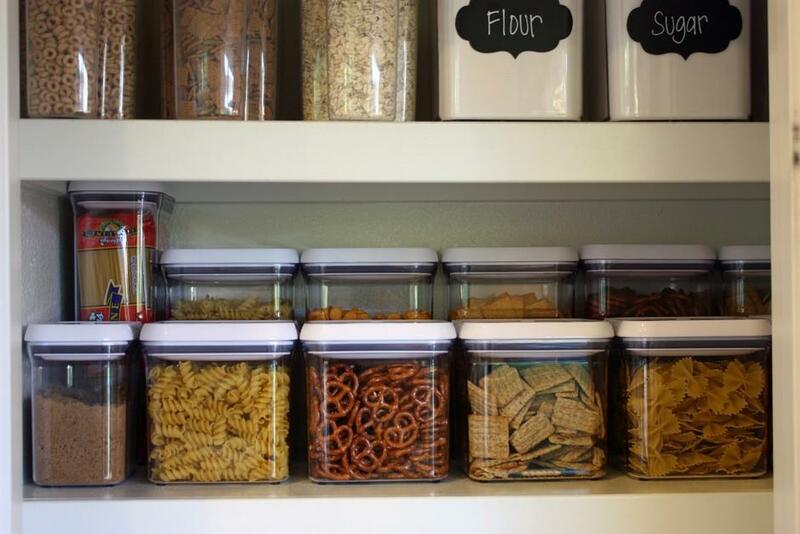 It is an idea of a neat arrangement for the transparent plastic jars. 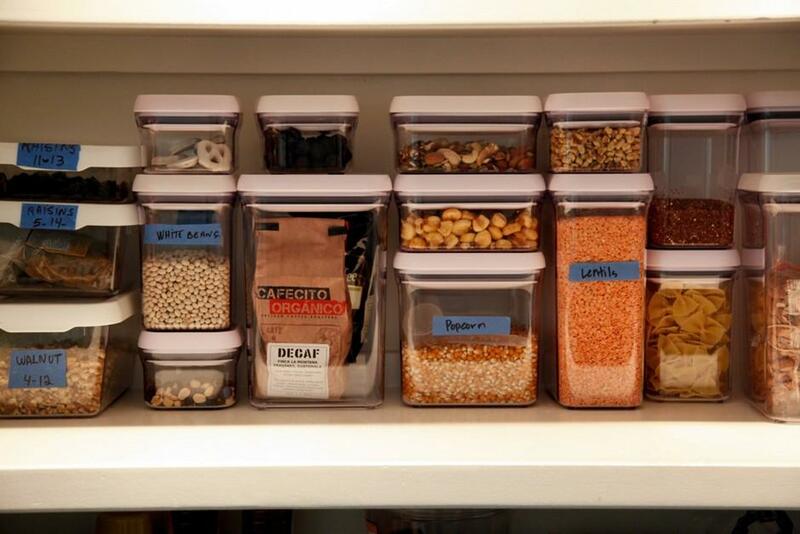 The householders put the transparent plastic jars with the same shape in one place in order to save spaces. Moreover, the householders tag a label for the similar look kitchen ingredients, as you can see in the picture, flour, and sugar. So that they will not be mistaken in choosing the ingredient they need. Labeling the kitchen ingredients with a similar look is a great idea to avoid using a wrong ingredient. Containers come with a bunch of types, from the sizes, materials, colors, and even the shapes. The picture above shows the various sizes of transparent rectangular containers. 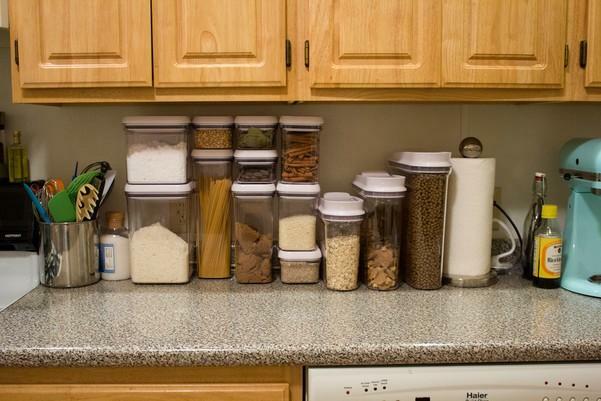 You can use one specific container with various sizes if you have a lot of kitchen ingredients with a different amount. The householders even stick the label for some kitchen ingredients in order to make the other family members know what ingredients inside the container named. The containers above look so minimalist yet stylish. The transparent containers and closed baby blue containers match perfectly. The householders even use the label with the same color as the baby blue containers. Various sizes of containers are used in order to adjust the different amount of kitchen ingredients. Do you know that there are also unique containers? If you can see at the bottom, 2 bottles are used to store salt and baking powder. It is actually a smart idea. If you do not want to spend your money to buy a lot of containers, you can just use the secondhand bottles in your house as containers! Glass jars or glass containers with a round shape just like the picture above is very suitable for you who adore an elegance. Those round glass jars look very simple yet elegant. 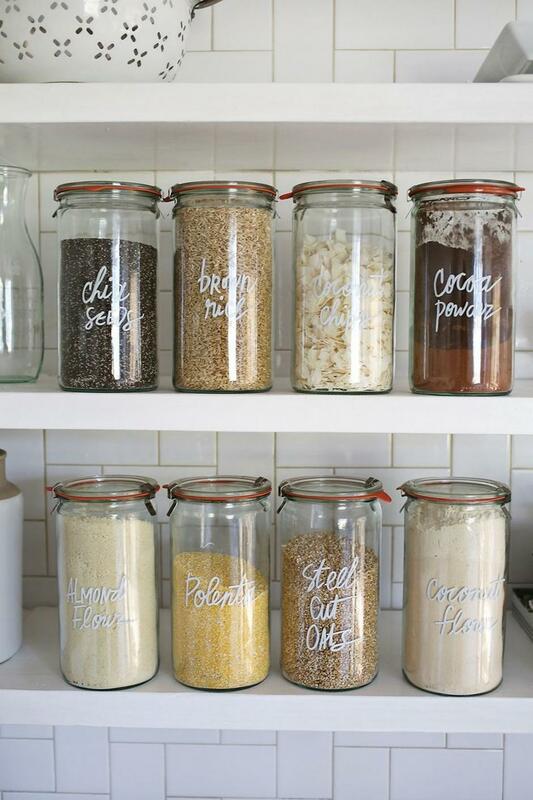 Instead of using a label, the white ink is used in order to make the jars look even more unique and anti-mainstream. But, you have to know that everything that made from glass material is fragile. You have to be careful when you take them out. Netted containers are suitable for you who want a unique and anti-mainstream container to store your kitchen stuff. Even though you can directly put the packaged ingredients in your kitchen cabinets, placing them in the netted containers like the picture above will make your kitchen cabinets even neater. The householders also use the transparent containers with various sizes in order to adjust the different amount of kitchen ingredients. 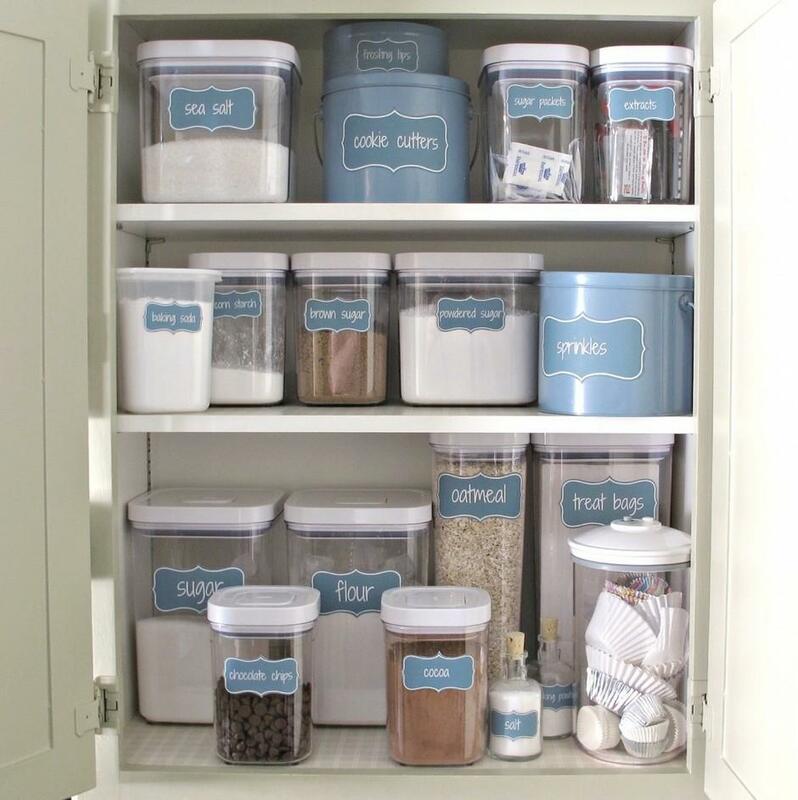 You do not have to always place your containers inside your kitchen cabinets. You can also place them under the kitchen cabinets just like the picture above. 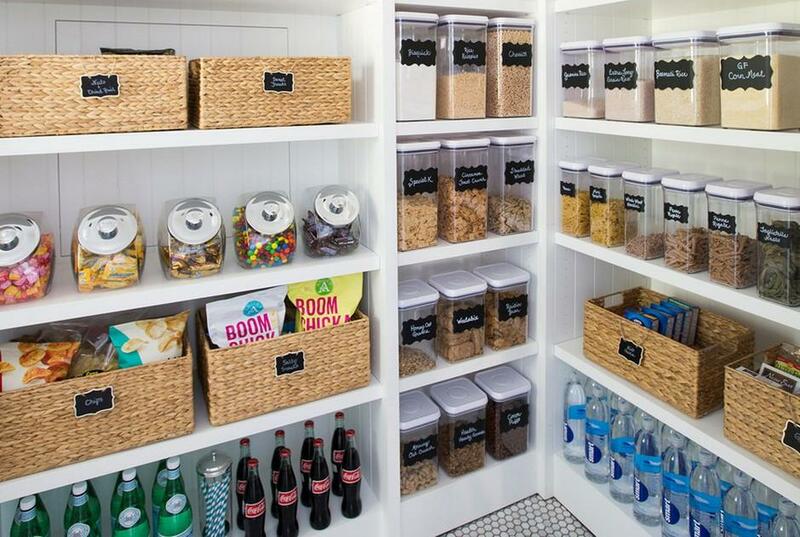 This way, you do not have to bother to open and close the cabinets to take out the containers. But, make sure you always place them in a neat arrangement in order to avoid a messy kitchen area. Those are 10 containers to organize. The containers can help you to tidy up your kitchen area.